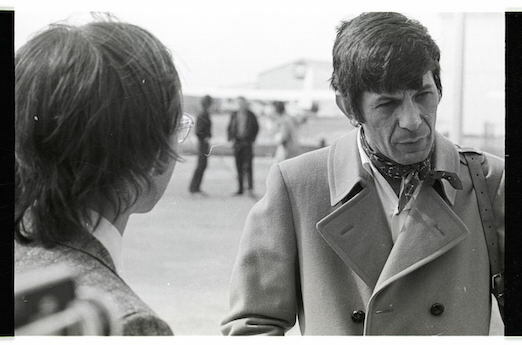 Yes, it was a heck of a week for Spock to visit the Plains; the kids who would one day be piloting flights from to energy rich Mars were running around naked! 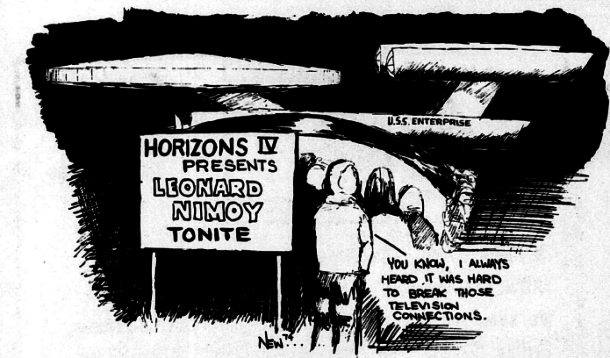 The future and all its cultural and scientific advancements must have never seemed more possible. 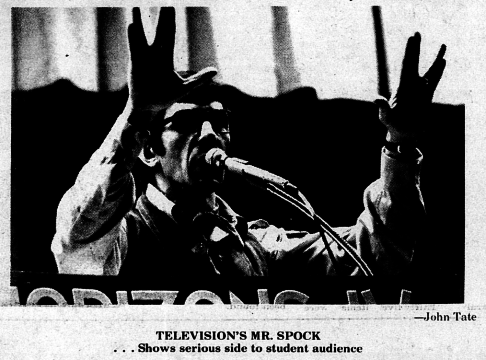 And hey, that’s exactly what actor turned poet warlord was going to be talking about at the Student ACT: The oil crisis, interstellar travel, group consciousness —he may or may not have accused The Beatles of eavesdropping on his poetic corner of the hive mind for the lyrics to Here Comes The Sun—and evolving morality, all of which was predicted by science fiction visionaries like Ray Bradbury and hey, sure, Star Trek creator Gene Roddenberry (who would speak at Auburn a couple of years later). 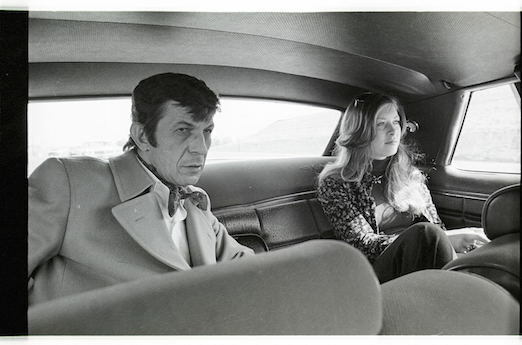 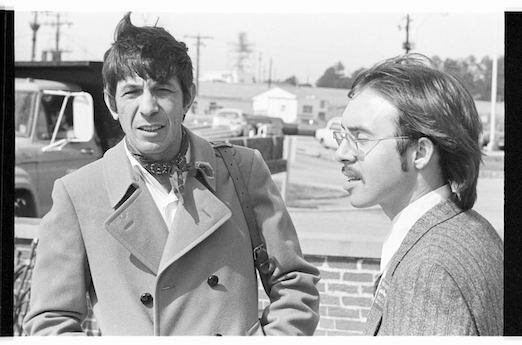 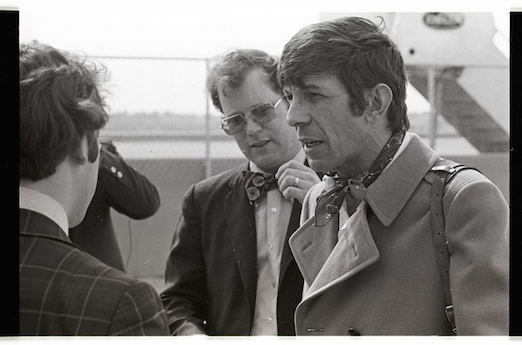 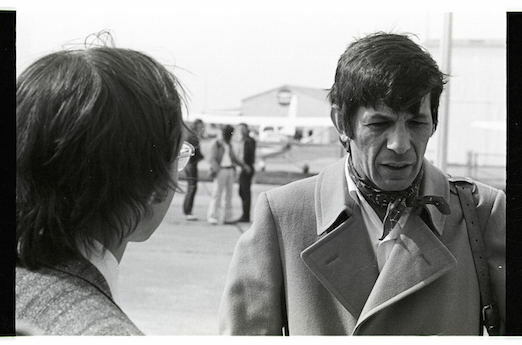 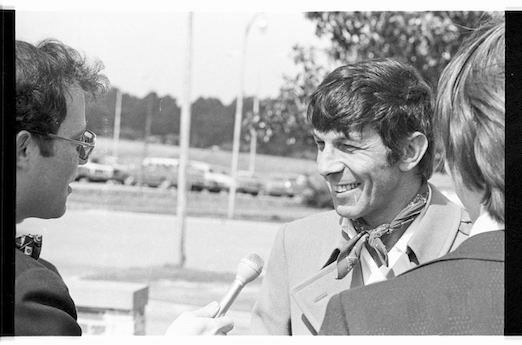 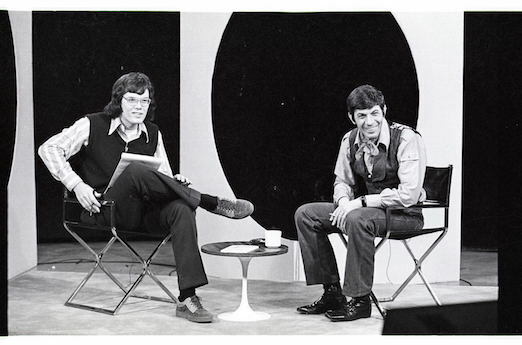 Here are some never-before-seen photos of Nimoy boldly going—what an outfit!–to the Loveliest Village on Feb. 19, 1974, courtesy of Auburn’s pretty bangin’ Horizon’s lecture series (the guy with the mustache picking him up at the airport, James Hood, was the director). And here he is doing the War Eagle gang sign or something during his talk. 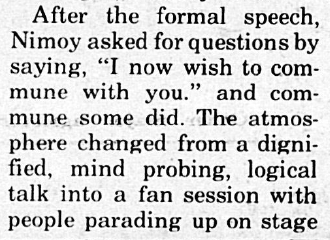 Related: Muhammad Ali on the Haley Center concourse.